2nd left is Judith Mckenzie, 6th left is Marie Zavinski and 2nd right is Ann Cooney. Extreme left I would say is Lucille Smith. 4th from the left is Jay Anderson, then Fiona Ferguson. 3rd from the right is Pamela Aitken and 1st on the right is Judith Drever. I think 5th from right is Carol Smith. 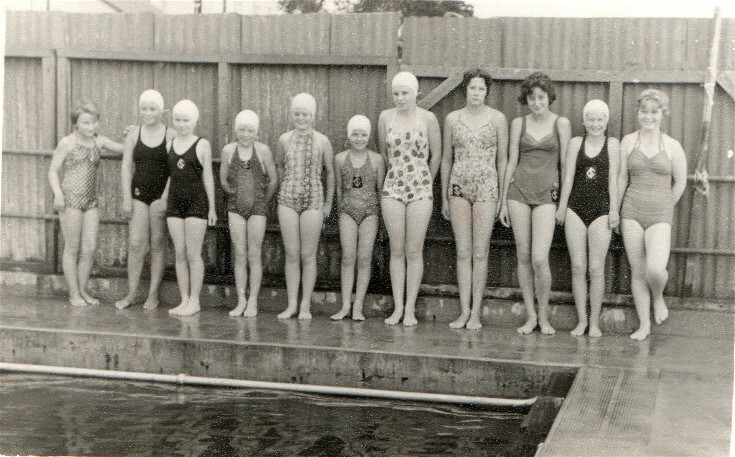 The girl 3rd from the right may be Catherine Moir I think - definitely not you Jeanette!!! Thanks Graham, you've put me out of my misery - do you really think it's Catherine Moir? Anyway, it's nice to hear you're still going strong..
Hi Jeanette - I meant the girl 3rd from the left may be Catherine Moir not from the right!!! !